Book Week means seeing thousands of excited children and teachers dressed up as book characters across Australia. It’s a whole week set aside to celebrate the importance of bringing children and books together - and the chance to meet a real author! Peter Rabbit: a brave, somewhat mischievous rabbit who overcomes obstacles. A rabbit after my own heart. As a child, they were my go-to books. I fondly remember reading all the Beatrix Potter books available at my local library and begging the librarian to order in more. Midnight. Although written by Mark Greenwood, I illustrated the character. 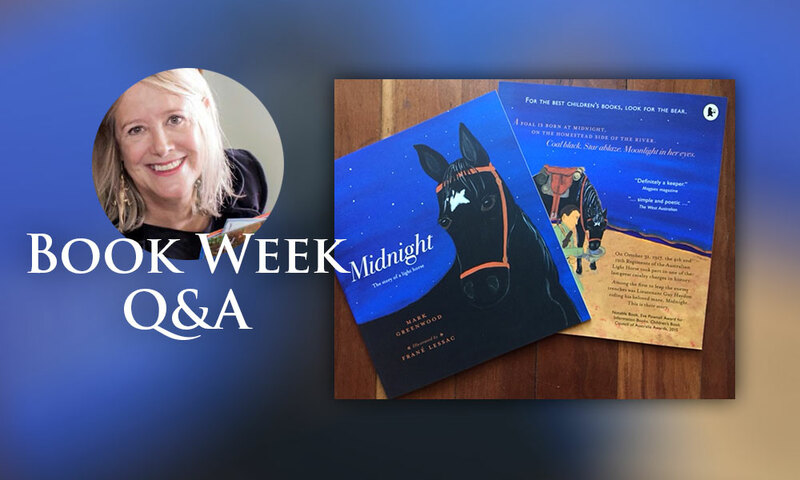 Since I was a child, I always wanted a horse, and Midnight became that horse. I took artistic license with the star on Midnight’s forehead. It wasn’t until after the book was published, that I realised how one of my favourite childhood books, Sea Star: Orphan of Chincoteague, had influenced the art. To my surprise, there’s a perfect star on Sea Star’s forehead as bright and bold as mine! I’m in the midst of celebrating by sharing stories with gazillions of students. My ‘Book Week Month’ started last week in Adelaide, this week in Perth and for the next two weeks, I’ll be touring schools and libraries in Sydney. Looking forward to seeing lots of Book Week parades and amazing library displays. Follow Frané on Facebook, Twitter and Instagram to find out more about her Book Week adventures.